If your needs go beyond our standard UVC product lines you can request a unique custom design to meet your exact specifications. Our technically knowledgeable sales staff and engineering department will provide you with custom conceptual solutions to accommodate your specific business needs. Once you submit your inquiry and it is determined that a custom UV system is needed, your project will be submitted to our engineers for review. A custom solution at the concept level is free and non-binding. 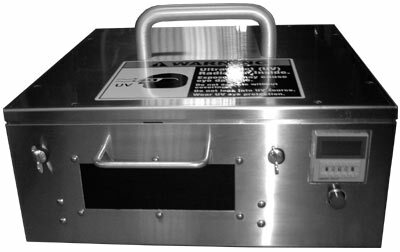 We have been creating unique ultraviolet solutions for a wide range of applications, including specialty UV applications. When you need an adapted version of our standard equipment or a complete system designed, engineered and manufactured from the ground up our full staff of electrical, mechanical and design engineers will work with you to provide you with the right solution. 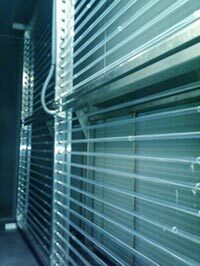 The custom UVC systems allow for easy integration, dependability and safety. They can be designed for retrofit into your existing setting or specified and incorporated into a new facility design. The scope of custom designs is virtually unlimited including custom conveyors, conveyor retrofit chambers and tunnels, portable UV sterilization boxes and multiple-lamp UV rack systems. What is your intended application - what do you want to have disinfected? What are the target microorganisms - what UV dose will provide effective disinfection? What is your process - speed of conveyor and dimensions? Are pictures and/or drawings available?